Teer Jakarta with Mr. Moazzam Malik. Jakarta - KeMANGTEER. Got a special opportunity to held a collaboration with The British Embassy Jakarta. 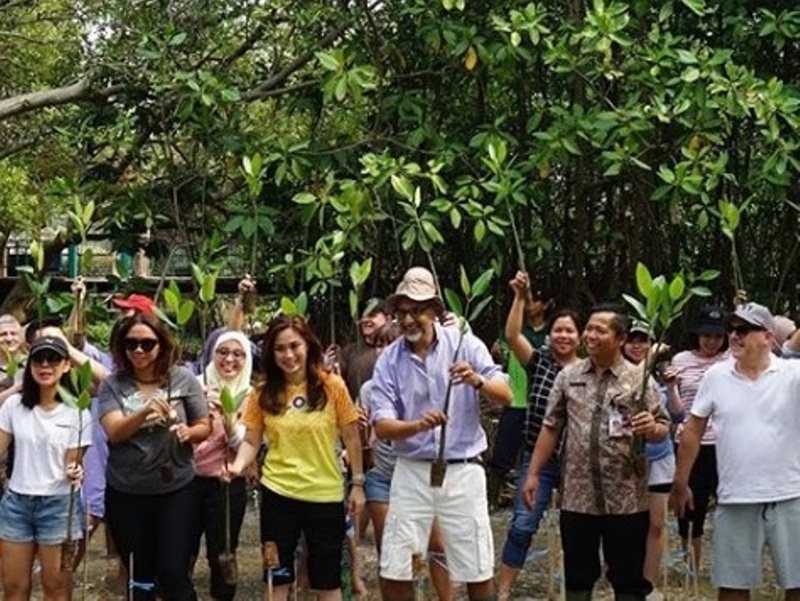 Realize how important mangrove ecosystem for our future, The British Embassy Jakarta join us to do mangrove conservation by planting 100 mangroves on Thursday, 2018/9/13 at Ekowisata Mangrove, Pantai Indah Kapuk. 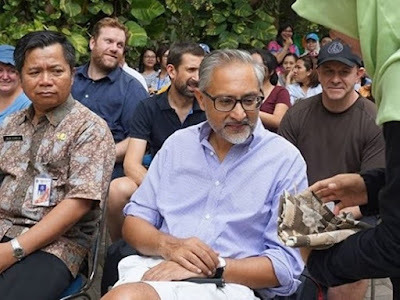 The conservation act began with a warm greeting from Mr. Jaja (DKI Jakarta Government) and Mr. Moazzam Malik as British Embassy. After that, Teer Natha introduced our community and Teer Hima explained the mangrove function to the participants. We also prepared Batik Mangrove that colored by mangrove dyes. All participants also had a chance to tasting Dodol Mangrove. Although the Jakarta's weather was hot, but not bother the spirit of planting mangrove. 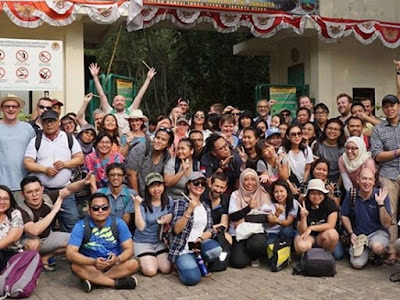 Afterwards we tour around the mangrove forest. Some participants met our little friend that lived in the forest, they are called Macaca. The long tailed monkey. 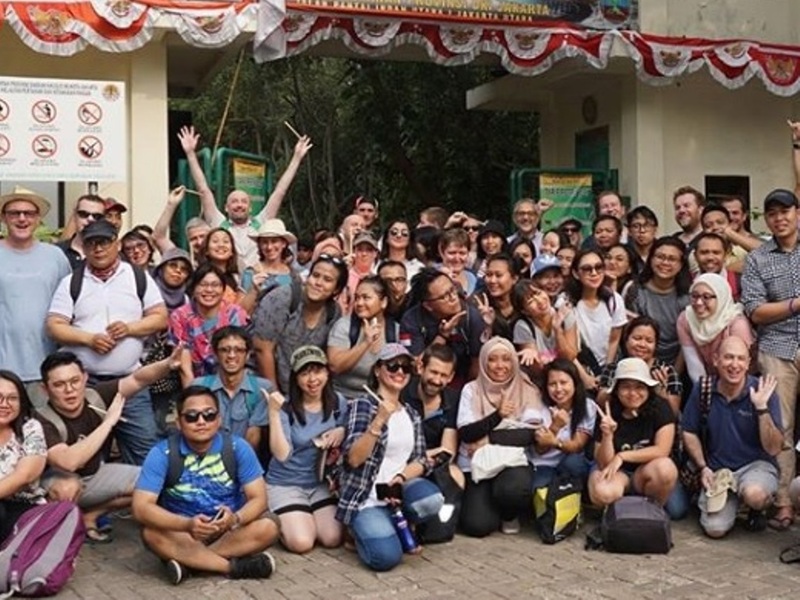 KeMANGTEER Jakarta with all participants. In the end of our activitiy, KeMANGTEER Jakarta gave a little gift that is jungle hat for Mr. Moazzam Malik and Mr. Rob Benn, we also supply the bamboo straw to all participants. Hope we will have another collaboration in future to conserving mangrove. Don't forget to spread the positive vibes and keep protect our environment. (ADM/NF).